They're zero-drop shoes with wide toe-boxes and barely-there soles (though the outsole is studded with grippy lugs to facilitate trail running). And while they're not made with CrossFit in mind, they look like a worthy competitor to the Merrell Trail Gloves and New Balance Minimus MT10s. I remember eying the Neo Trails a few months ago when I saw a sneak peek online, but promptly forgot about 'em when the NB MX20s came out. 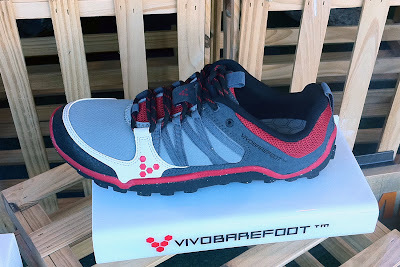 Aside from a pair of Onitsuka Tigers Rotation 77s, the only shoes I wear to the office these days are from the VivoBarefoot line, but I've never tried any of the brand's athletic shoes. 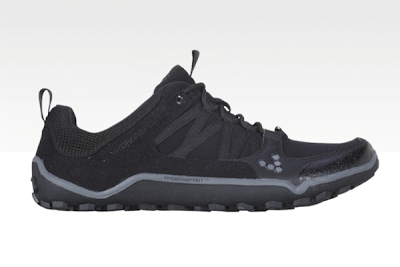 Sadly, I may have to wait a little while longer to give the Neo Trails a shot; with a $130 price tag, these babies are $45 more than my current favorites in the gym.